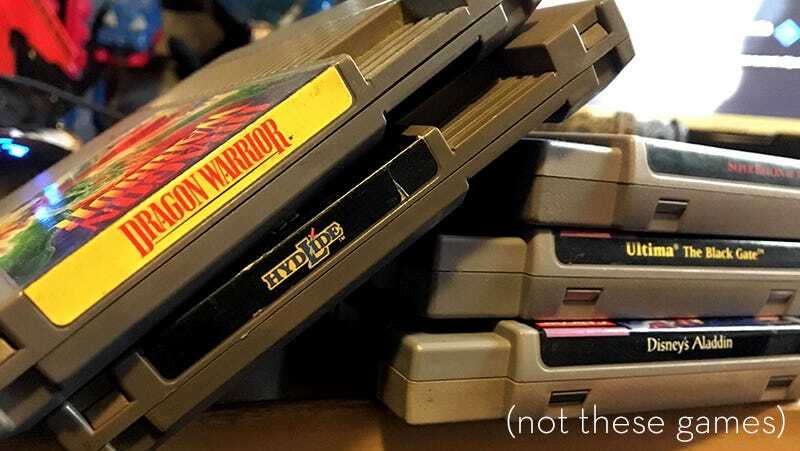 GameStop stores across North America are now accepting games and hardware trade-ins from as far back as the original NES, but not everything. They’ve got lists. I brought a sack of older titles to a local store to see which were worthy of trade-in credit. As part of its continuing effort to stay relevant and useful in the digital download age (it’s a great place to buy Pop! vinyl toys and video game socks now), GameStop is not taking in several pages’ worth of games from the original Nintendo Entertainment System on up (I had no Colecovision, Intellivision or Atari cartridges on hand). Rather than sit on the phone and read off game names, I decided to get rid of some duplicates in my collection. Here’s what I brought in, along with their value in trade credit. Items with NA next to them were not accepted. Trade values do not include Power Up Rewards bonus. Between promotions and the Power Up Rewards bonus, I wound up with $96.25 in credit, which went toward renewing my Power Up Rewards card, a copy of Battlefield 1 and several random collectible blind bag toys. As the customer service rep entered the game into the system, she consulted a stack of papers listing acceptable games by system. Most of them weren’t much larger than a sheet or two, though they were printed relatively small with multiple columns per page. Just be sure to keep the bag after you dump out your once-prized collection on the GameStop counter. Odds are you’ll be bringing some of them home with you.